With over 40% of employment-seeking candidates misrepresenting information on their applications or resumes — including facts about their criminal history — a thorough screening process mitigates risk. It serves as the first line of defense against everything from corporate leaks and lawsuits to physical threats and drug use in the workplace. JDP’s full-service suite of background screening and drug testing solutions are fully customizable and meet the broad needs of the corporate environment. High touch support maximizes the HR professional’s experience and ensures a positive candidate experience. 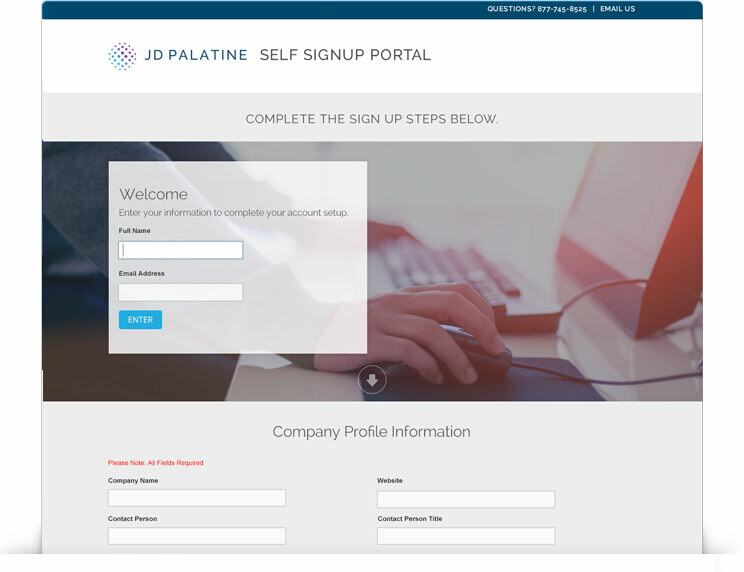 Additionally, JDP has the ability to manage and support multiple business locations – regionally or nationally. The services listed are just some of the ways in which JDP can help ensure that you choose the right candidate for the job. Simply provide your contact and business information, select your products, electronicaly sign the End User Agreement and click Submit. We'll complete your account setup and you can start ordering background checks within 24 hours.